The last weekend before the school’s go back is often the time for the Tarves flower and produce show. Traditionally, there have always been prizes and trophies for children’s arts and craft as well as flowers and produce grown. 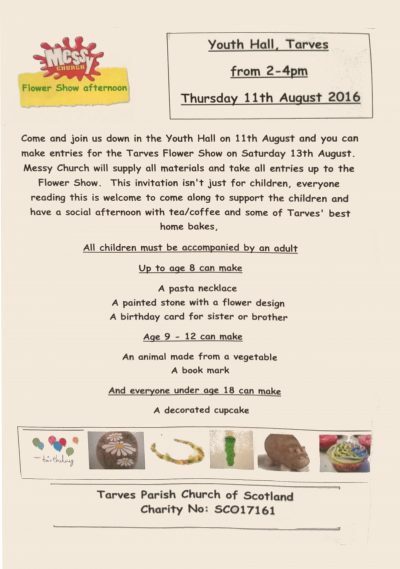 Tarves church are running an activity session Thursday 11th August to get kids involved, keep them entertained and maybe get creative. It’s also a wee bit of a social event for everyone.